All things coconut in this moisturizing body wash. Enjoy coconut oil, coconut milk powder, and coconut fragrance in this project. 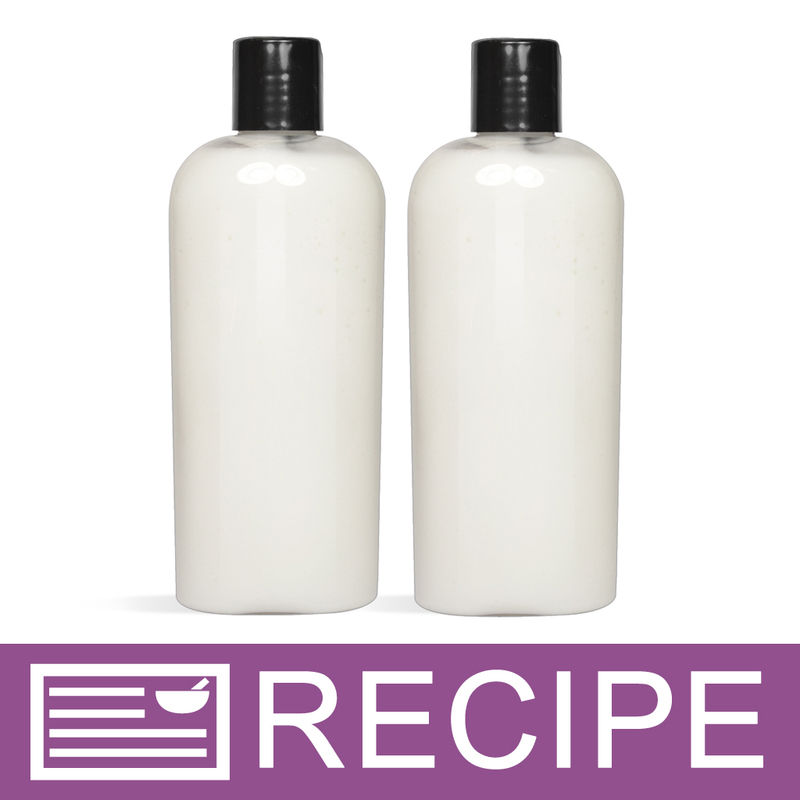 Coconut has natural moisturizing properties, and this body wash incorporates coconut oil and coconut milk powder. The scent of ripe coconut, creamy vanilla and white musk is the icing on the cake. Add this product to your product line or buy this project to make some for your personal stash of body wash.
You Save $22.65 by purchasing this kit rather than buying the items separately. COMMENTS: Have purchased this kit a couple of times and they've have sold well. Customers who like coconut love the smell and say it feels great on your body in the shower. Will purchase again. COMMENTS: made these for Christmas for my staff and everyone loved it. "Easy to Make and Customers Love It!" COMMENTS: This kit was easy to use. My customers love it! It is creamy and moisturizing. My customers are asking for more! The coconut scent is just right. COMMENTS: I was looking for a body wash to try and this one turned out great! Will purchase again. "Coconut Milk Body Wash Kit"
COMMENTS: I love this body wash and it passed the kid test too! My 8yo daughter loves it too. Smells great, easy to make and feels great. Lathers pretty well too. COMMENTS: This is very easy recipe to follow and I recommend it to anybody wanted to start to make their own body wash. The smell is great and lasts all day. I love this body wash. COMMENTS: this coconut wash smells crazy good...I loved every second of making this product just cause of the scent that wafted everywhere ..every friend i had try it was amazed.. COMMENTS: I love this kit! I used one of my bottles for myself of course and as soon as I lathered on, this coconut body wash took me to the islands. Rich scent of coconut and the feel of the wash was wonderfully soft. I loved it. COMMENTS: So easy and the scent reminds you of a tropical island getaway! COMMENTS: I really like this liquid soap! The fragrance is a nice coconut. The soap feels nice on my skin. I would like a little more sudsing and bubbles. If I make this again, I will add some Bubble Up. I have very sensitive skin...and so far, my skin is doing just fine! The kit was very easy to make! COMMENTS: This body wash kit is great its easy to make and the smell is amazing. It makes my skin feel wonderful, the only down side is that though it makes bubbles its not the amount of bubbles you would expect. COMMENTS: I tried the Coconut Milk Body Wash. It smells great - Felt like I was on a tropical island. I gave it to my daughter & personal trainer to give me their opinion. They both had people calling me to order and asking about lotion to go with it. I'll definitely be adding to product line. I'm going to add a little Bubble Wash Thickener in next batch. COMMENTS: The scent was to die for! Overall this is a great kit. I had a couple clients say it didn't create a lot of bubbles, so I think also it could have a better lather and bubbles. It's just something about those bubbles. Lol! It has great moisture and doesn't dry your skin. I would definitely use this kit again. COMMENTS: This product had my entire house smelling amazing. The lather that I get from it is also amazing. Such a quick and easy recipe. "Great kit with great product"
COMMENTS: This kit was perfect for starting out making the coconut milk body wash for the first time. The kit was so easy to use with great instructions. This product was well loved by my clients. I sold out of all 8 bottles in 1 day! It smells and feels great! COMMENTS: This kit is incredibly easy to make and what a fabulous body wash! The smell is awesome, even my husband commented on it. This left my kitchen smelling amazing for days! COMMENTS: This is the best body wash that my family has ever used. We are so pleased with the soft skin(especially feet). More of a cream body wash than most, but that is why this is so amazing. Customers reorder. I'm hooked! COMMENTS: I bought this kit to add an addition to my product line as I am just starting my business going. It was extremely easy to make and easy to divide in half to make 2 different scents to offer my customers. They love it as do I. I did add a little Bubble Up to add a little more later to it and even added a little bit of liquid ocean blue coloring to make it fun. I recommend to anyone wanting to add to their own collection or add to their product list of things to sell. Can't wait for Christmas time as the scents and colors will be also endless. "How much Bubble up would you need to add to this recipe to make it more bubbly? " Staff Answer This is something you will need to test. If adding Bubble Up to the recipe, we would recommend cutting back on the coconut oil. If adding 2 oz. Bubble Up, then add 2 oz. less of the Coconut Oil. "Does the coconut oil solidify if it gets below 76 degrees? Thank you." Staff Answer It does not solidify in this recipe. "Can i use the crystal clear body wash base instead of the suspension base?" Staff Answer We used the suspension base for this recipe for the additional ingredients, such as the coconut milk powder and the coconut oil. Otherwise, these will settle to the bottom. "What is the shelf life of this product once it is packaged? Thank you!" Staff Answer Finished products are best used within one year of manufacture date. "The fragrance oil used contains vanilla, but the recipe does not include the color stabilizer. Does this product not need it?" Staff Answer We found that in this recipe the fragrance did not brown the product over time. 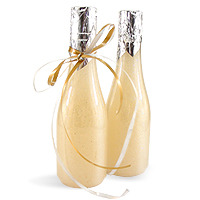 "I really like this and the scent is light and not overwhelming and I added some bubble up but that did not seem to do much as far as extra bubbles goes. I found this a bit drying myself and was wondering if there was anything else that can be added to make it less drying." Staff Answer This recipe was created to be more moisturizing than creating lots of bubbles. The coconut oil was added as a moisturizer but does cut down on the lather. If the coconut oil is too drying to your skin, you can substitute another carrier oil. We carry a large array of oils for different skin types. You might want to read through them and choose one best suited for your skin type. "I gotten great reviews and feedback for this body wash, the only complaint is more bubbles! Is there anything I can add to give it more bubbles and what would be the amount. Tks Denise"
Staff Answer We are delighted to hear your customers love this recipe! "Bubble Up" is an ingredient commonly used to add bubbles to liquid washes, but we have not experimented with adding it to this recipe. If you decide to try, please keep us posted with the results. To view Bubble Up, Click Here.